Are you holding out for a stateside release of Sony's new flagship, the Xperia Z1? It appears hope may finally be on the horizon, at least if T-Mobile is an option for you. @evleaks just released a photo of what looks to be an Xperia Z1 headed to America's pinkest carrier, courtesy of a bit of T-Mobile branding along the bottom. Take a looksee. We had some time with the Z1 back at IFA in September, but as seems to be the case with nearly every Sony phone lately, an American launch wasn't announced or even suggested at the time. Notably, T-Mobile was also the only US carrier to pick up the Z1's predecessor, the Xperia Z, albeit more than 6 months after the Z's original announcement. Hopefully this leak signals that T-Mo is a little more on the ball with the Z1, and that we'll be seeing it officially sooner rather than later. 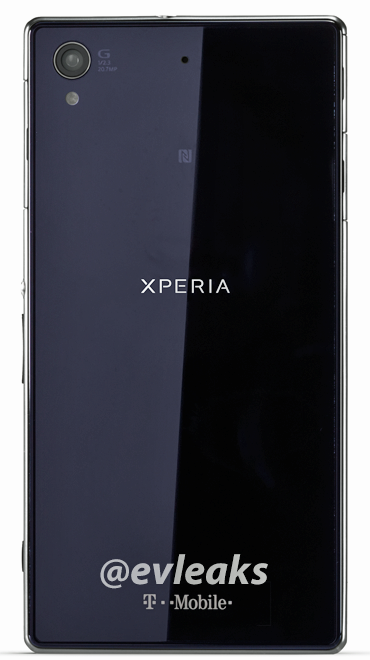 As a quick refresher, the Xperia Z1 is equipped with a 5" 1080p display, Snapdragon 800 quad-core processor, an extremely robust 20MP camera with a 1/2.3" image sensor, and runs Android 4.2 with Sony's UI overlay.